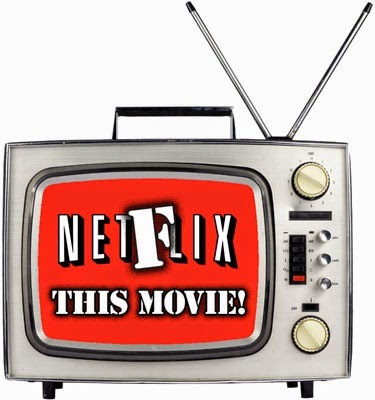 All Netflix and no Netflix makes Jack a Netflix Netflix. Adam Riske: Dear White People (2014, dir. 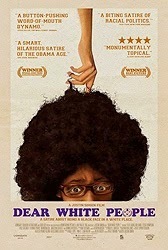 Justin Simien) Dear White People is an honest, hurt and somber movie with standout performances from its leads Tessa Thompson and Tyler James Williams. The movie has something worthwhile to say about race, which is that under the veneer of progress there’s still way too much ignorance and insensitivity going on with black-white interpersonal communication. That takes some balls to say, and writer-director Justin Simien deserves credit for saying it. The movie is not perfect. It has some material that feels like a first-time director crafting bits or using his characters as soundboards to relay messages, but when the movie is effective it is extremely effective -- particularly in its shocking climax, which features the most effective racial commentary since Bamboozled. 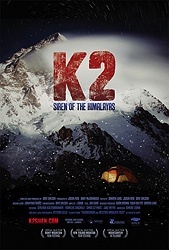 Adam Thas: K2: Siren of the Himalayas (2012, dir. Dave Ohlson) I’ve had the pleasure of seeing the preview for Everest at just about every movie I’ve seen in the theater lately. Needless to say, I was inspired to seek out a quality mountaineering movie and stumbled on K2: Siren of the Himalayas. I was unaware of this prior to watching K2, but K2 is considered statistically, the most dangerous of the major mountains on the planet. K2 is a documentary that follows a group of climbers as the try to scale the mountain 100 years after the first expedition attempted the same feat. Not only did I find K2 completely fascinating, I was very impressed with the way it explored what is happening now as well as the history of the mountain and its past climbers. Not only that, but someone right now needs to go back and give Dave Ohlson and his camera crew an Oscar for risking their lives. This one goes all out by joining the climbers and going up with the expedition. Probably the best movie about climbing I’ve seen…. Sorry, Cliffhanger. Heath Holland: Star Trek: The Motion Picture (1979, dir. 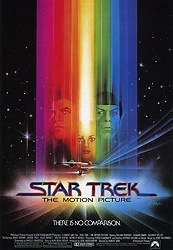 Robert Wise) I never cared much for Star Trek: The Motion Picture. Though I'm a fan of the show and many of the movies, I've found this film to be too long and boring with not enough excitement to keep me engaged. However, I just watched it again this week for the first time in years and absolutely fell in love with it. It's full of affection and respect for Captain Kirk's crew and their mission, and rather than focus on a Bond-style villain that must be thwarted, the film spends most of its running time on characterization and the challenges of space travel. There's a wonder to the whole thing, and you can see it in William Shatner's performance (which I love). Space seems dangerous and wrought with challenge, and something as simple as the transporter that beams people from place to place can kill you. This is a very human, very upward-reaching movie about our struggles and triumphs as the human race, and I've come to think Star Trek is at its best when it's focusing on these things. Though it was a mess behind the scenes--and sometimes on the screen--this is still the only movie in the film series that tackles these subjects with such wide-eyed wonder and blatant optimism; things would change forever with the next film and Star Trek would become popcorn entertainment, but I now love this one for having so much hope in our future. 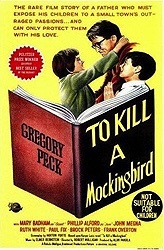 JB: To Kill A Mockingbird (1962, dir. Robert Mulligan) This superb coming-of-age drama stars Gregory Peck in a career-defining role, some great, natural child performances from Mary Badham and Philip Aldon, an evocative score by Elmer Bernstein, a sensitive, faithful screenplay adaptation by Horton Foote, and terrific supporting performances from Brock Peters, William Windom, James Anderson, Collin Wilcox, and in his first film role, Robert Duvall. Perhaps you first saw this in a high-school English class? See it again. Patrick: Burying the Ex (2015, dir. Joe Dante) I found this movie to be a very mixed bag back when I reviewed it in June, but in light of my recent revelation about not taking filmmakers I love for granted I want to revisit it. We're not always going to have a new Joe Dante movie to watch, so I don't want to be too dismissive about this one just because it's flawed and made for less money than it needed to really work. Give it a chance and try to focus on the stuff in it that's good. I'm actually a big fan of Burying the Ex. I just think its lots of fun. And now I want to revisit Star Trek because I didn't like it the first time, but I've recently been falling in love with Star Trek more. I think its time. i like dear white people. I don't want white people to be discourage from watching it. This is a satire on race and perception on both sides. Not just how blacks feel whites perceive them but also how blacks perceive other blacks and how whites feel blacks perceived them. In other words its not just a white people are bad movie. It does a fairly good job of pointing out hypocrisy on both sides. Some claim the dialogue is a little over written but i think it works. In other words just watch it. I think you just sold me on this. I'm white (and for bonus points, I'm also southern ... and male ... basically the embodiment of evil), and I realize that white-black relations are in a rough place right now and it really bums me out. But it was hard to get motivated to watch a movie about how awful I am because of the color of my skin. Now, a satire on race relations as a whole. That I'm definitely down for. I'm adding it to the queue. "Star Trek: TMP" (and a few other "Star Trek" movies) are leaving Netflix at the end of September, so if you plan on watching (all eight hours... it lasts eight hours, right?) make sure to do so before this month is up. I've always loved ST:TMP, partly because it was my gateway drug to the franchise. To me, the first movie is Star Trek, more than the action-adventure Wrath of Khan or the comedic Voyage Home. Like Heath said, it's about the awe and mystery of space travel. Totally. I'm in the middle of a massive re-watch of Star Trek stuff. I finished the original series again, then blew through the animated series, and now I'm up to the movies. I really love some of them, but they're getting further away from confronting the heavy issues that the original series was tackling. We still need that social commentary; we need unique and creative ways of allowing us to look at the problems and the world around us. If anyone knows of a genre show or movie series that's currently doing that, let me know. Very timely pick JB. It is a wonderful film. I'd love to hear your thoughts on the whole Go set a watchman background drama.